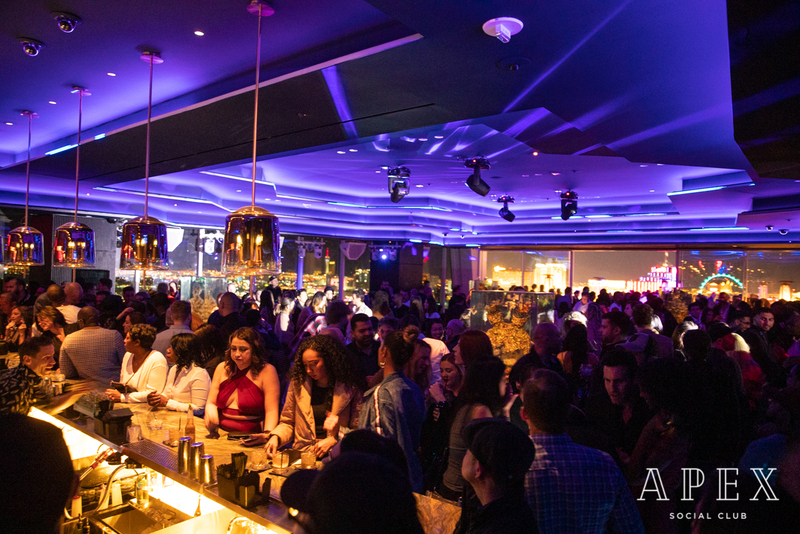 Located on the 55th floor of the Palms Casino Resort, Apex Social Club is a stunning venue that dares to take you to brave new heights. And now, we want to take you even higher with our incredible new weekly EDM event: Elevate Thursdays. In the relatively short time that we’ve been open, Apex has already established itself as a cutting edge Las Vegas club that offers innovative entertainment. And now, the offerings are getting even better as we debut Elevate Thursdays, a weekly event dedicated to EDM. Dancing, drinks, and sick beats: we can’t wait for you to join us for a night unlike any other with our Elevate Thursdays with Paul Ahi. Want to learn more? This post will offer up all of the necessary details! Not so fast, you might be saying. What is EDM, anyway? Well, before you can understand EDM, you need to have a basic understanding of house music, so let’s offer a little primer. House music is a type of EDM (electronic dance music) that was created by DJs and producers in the Chicago area in the 1980s. In its early years, house music typically featured repetitive beats, usually provided by drum machines, hi-hat cymbals, and synth bass. Some view house music as a progression from disco music, but ultimately house music has its own sound, with a more pared-down, minimal electronic sound. Additionally, lyrics are typically not strongly emphasized in house music. Yes, there are house songs that have lyrics, but some songs are purely instrumental, and some feature sampled lyrics. The characteristic repetitive beats and rhythm made house music perfect to dance to, and it took off in the underground dance club scene in the 80s. OK, so now that you have an understanding of house music…what is deep house music? Deep house is a subset of house music. It also has its origins in the 80s. It’s a style of house music where jazz/funk/soul features into the music prominently. Deep house tracks also have a slightly different tempo–usually between 100 and 125 BPM (beats per minute). While this song isn’t a deep house track, just to give you an idea of what sort of speed 100 beats per minute is, that’s the speed of the song “Crazy in Love” by Beyonce and Jay-Z. That is to say: a super dance-friendly beat! Now that you understand house music, let’s talk about enjoying it in person at Apex! Elevate Thursdays is our newest weekly event. 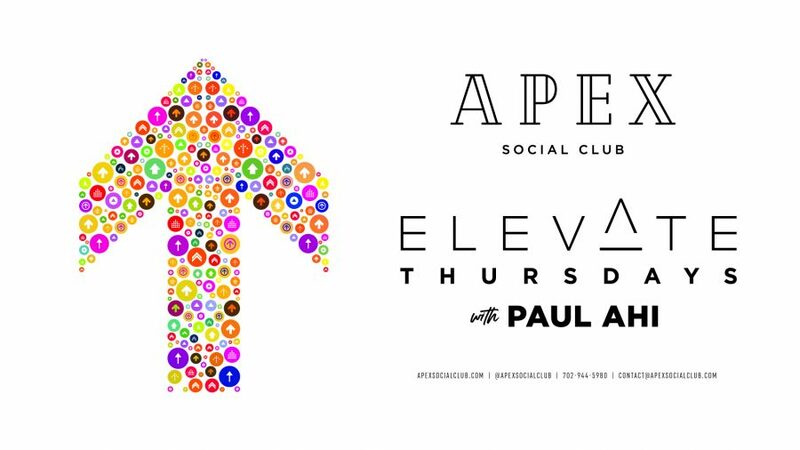 It will take place each Thursday, where DJ Paul Ahi (featuring special guests on a rotating basis) will spin deep house sounds at Apex Social Club. You’ll feel like you’re on the top of the world (literally) as you enjoy these rhythmic beats 55 floors above the glittering lights of Las Vegas. Enjoy this event in style: make your Bottle Service reservation today! DJ Paul Ahi is one of the most popular DJs and EDM promoters in the area. Well known in LA, Las Vegas, and beyond, Ahi is known for his part in popular music events like Love Groove, the 420 Festival, the Fuzzy Festival and the Lost City of Atlantis. Ahi has traveled extensively for his craft, and has shared stage time with DJ elite, including Paul Oakenfold, Infected Mushroom, Benny Benassi, Steve Angello and more. Known for his producing chops and creative remixes, Ahi always brings it to the stage. You’ll love getting down to his deep house sounds at Apex Social Club! Conclusion: At Apex Social Club, we pride ourselves on offering the most creative and innovative entertainment around. After all, when you have a space as special as our 55th floor venue on top of the swanky, newly-remodeled Palms Casino Resort, you’ve got to have entertainment that is just as great as the location. We’re proud to offer Elevate Thursdays featuring DJ Paul Ahi. We hope to see you very soon at this unique event so that you can enjoy the best deep house tracks in style in our one of a kind Las Vegas nightclub!